Agile – Explain It To Me! 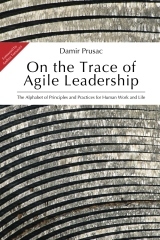 Agile does not mean only a method and it is not a practice at first. It goes beyond from just “getting things done”. It is a culture of the organization and its people to work together, live with principles of being nimble, responsive, adaptive, continuously learning and evolving, with the goal of acquiring knowledge to deliver fast a highest possible value with quality in a shortest possible time. It is an environment without blame and finger pointing when failure happens, and allowing people to safe fail and correct fast. It is the atmosphere of empathy and a true care for people as persons to find their intrinsic motivation. It is a club for brave people to take responsibility, to have autonomy, to dare, to experiment and to systematically pioneer a way to unknown. It is a true involvement without judging and false concerns. It is a set of shared values and principles supported by the agreed methods and state of the art tools. It is faith, not religion that generates beliefs and plans to become continuously better. It is a way out of mediocrity. Agile is simply more human!